Happy Friday Eve! 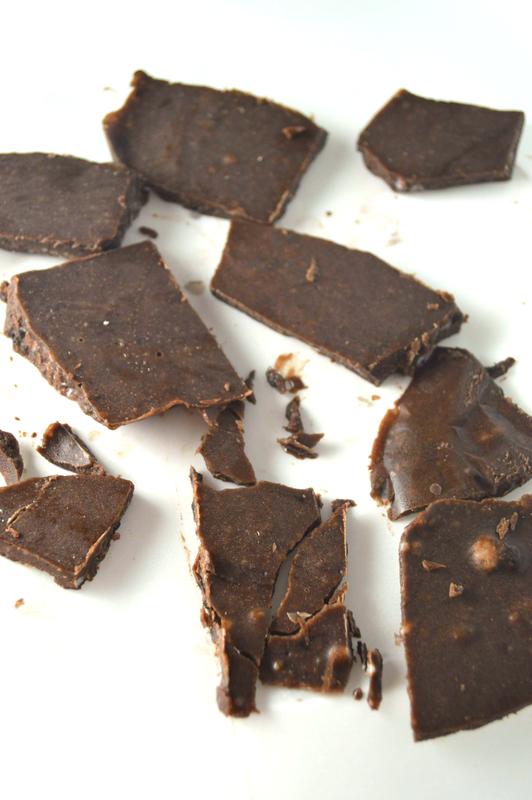 I have a healthier way to satisfy your sweet tooth…Dark Chocolate Meltaways. No artificial sweeteners, just real ingredients that you might already have on hand. It’s a creamy combination of dark cocoa powder, peanut butter (or your favorite nut/seed butter), coconut oil, and vanilla sweetened with real maple syrup. Just mix them up until nice and smooth, pour into a lined baking dish, and freeze. Please note that these are best served right out of the freezer. Yes, on any given night after dinner you might just find me standing in front of the freezer with a dark chocolate meltaway. They are the perfect little sweet treat. Just don’t leave them out at room temperature! A quicker, healthier sweet treat. In a microwaveable bowl add the peanut butter and microwave 20 seconds. Add the coconut oil to the warm peanut butter and combine thoroughly. Add the cocoa powder and vanilla. Once combined, add the maple syrup to taste. I usually add 4 tablespoons. You can certainly use less if you prefer. Pour into a foil or parchment lined 8×8 baking dish. Pop into the freezer and allow to set. It will take about 20 minutes to firmly set. Remove from the freezer and cut into squares. I like one or two bite squares. You have to work fast here! If they start to melt too much, you can put them back into the freezer again until they harden. Store in the freezer.